Leah turned four months old on the 20th! I can't believe how time goes by! For fall break, I was really needing a get-away. I felt as though I'd been stuck in the house for most of the summer and I wanted to do something fun. We decided to go away to Lava Hot Springs. Now Lava Hot Springs is not a very happening place. (Sorry to those of you who may be from there). But, we rented a house that was just awesome to stay at. This is the Inn at Owl Hollow. We had so much fun there! I highly recommend it. Leah takes a dip in the coolest hot pool at Lava (102 degrees F). 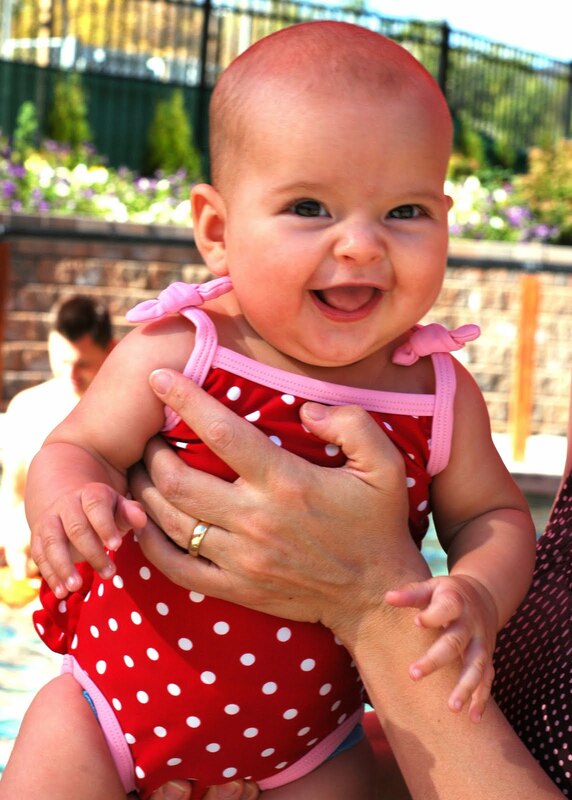 Notice her adorable Baby Gap Swimsuit? 50 cents at a yard sale--I LOVE a good deal! Okay, so Halloween is coming. Here is the costume I made for Sarah. 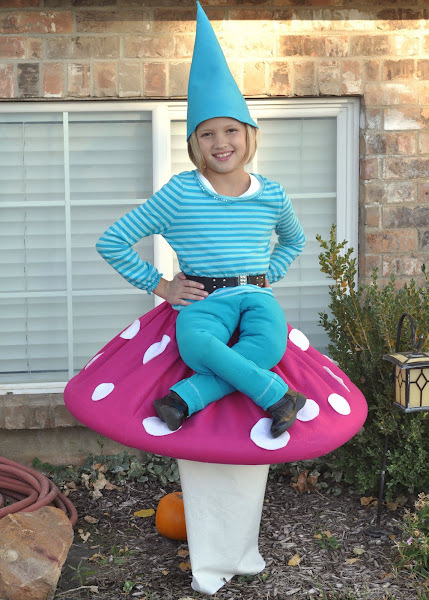 She's a cute little garden gnome sitting on a toadstool! I honestly can't say if I like Sarah's or Skyler's costume best. 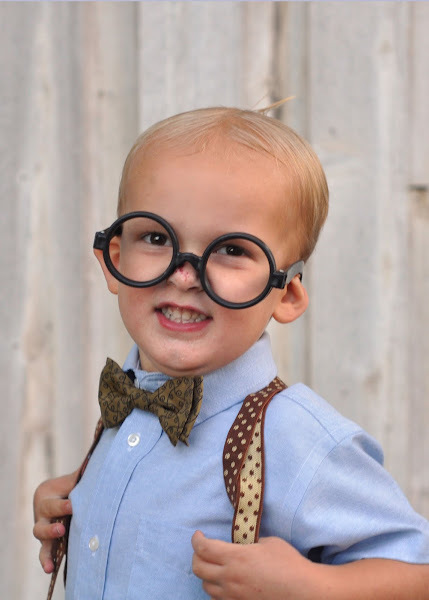 I think Skyler is the cutest nerd, EVER! By the way, his pose was natural! Cute! What are your other kids going to be? Leah is gorgeous! She looks a little like Em but a lot like you! I love the Halloween costumes. So cute!